The Best Property blogs from thousands of top Property blogs in our index using search and social metrics. Data will be refreshed once a week. Property newsletter is a comprehensive summary of the day's most important blog posts and news articles from the best Property websites on the web, and delivered to your email inbox each morning. To subscribe, simply provide us with your email address. Melbourne, Australia About Blog PropertyUpdate.com.au is Australia's leading property investment wealth creation website with tips, advice and strategies from leading real estate investment experts. Follow our tips and commentary about success, property investment and money from a range of leading experts. Facebook fans 9,349. Twitter followers 46,434. About Blog OnTheMarket.com is the simple way to search for property. We aim to provide all potential buyers, sellers, landlords and tenants with an exceptional property search service. OnTheMarket.com's property blog has the latest advice and top tips on buying, selling and renting a home for buyers, sellers, tenants and landlords as well as housing market insight. Facebook fans 11,684. Twitter followers 17,141. London About Blog Latest Property news, comment and analysis from , the world's leading liberal voice. Facebook fans 8,057,335. Twitter followers 7,419,518. Facebook fans 3,841,635. Twitter followers 3,369,863. Greater London, About Blog Rightmove property blog is the UK's ultimate destination for housing market trends and news, advice for buyers, sellers, renters and landlords. Our mission is help property hunters throughout the UK find the property of their dreams. Facebook fans 254,928. Twitter followers 96,985. London About Blog PropertyWire.com is an online channel focused on news from both the residential and commercial real estate sectors. It is aimed at key business decision makers from industries such as estate agencies, property development and construction. Get Global property news, real estate news, property investment reviews and analysis, real estate features and up-to-date UK and overseas property news. Facebook fans 709. Twitter followers 60,335. Mountain View, CA About Blog Comprehensive up-to-date coverage for property, aggregated from news sources all over the world by Google News. Facebook fans 22,357,140. Twitter followers 212,892. Ireland About Blog MyHome.ie is Ireland's leading property and homes portal. Established in 2001, MyHome.ie has transformed the experience of looking for a home for hundreds of thousands of house hunters and has also provided estate agents with an efficient and effective marketing tool. Facebook fans 22,763. Twitter followers 7,195. Dublin, Ireland About Blog Daft.ie Insights Property Blog brings you the most important housing market trends, news and advice in Ireland for buyers, sellers, renters and landlords. Facebook fans 46,220. Twitter followers 7,388. Hartford, Connecticut About Blog The latest in Connecticut real estate news from the Hartford Courant's Kenneth R. Gosselin. Facebook fans 142,740. Twitter followers 157,007. Northern Ireland About Blog .com is a great resource for people looking to buy a rent properties in Northern Ireland. Search our database to find your ideal property and get in direct contact with estate agents. Find Residential Property for Sale & Rent in Northern Ireland from .com. Facebook fans 170,643. Twitter followers 4,211. Singapore About Blog Read our latest articles on buying or renting a HDB or condo in Singapore, interior design, renovation ideas, finance, property news and neighbourhood guides. We aim to take away all the tedious bits for you, so that you can focus on enjoying new experiences everyday. Facebook fans 44,644. Twitter followers 690. Australia About Blog Australia's leading property investment magazine. The latest investment property news and commentary about the Australian property market from the Your Investment Property Magazine team. Facebook fans 14,874. Twitter followers 19,232. About Blog Savills is a leading global real estate service provider. Established in 1855, we now have over 700 offices and associates around the world. Our unrivalled network means we can offer property for sale that meets your requirements anywhere in the world. We sell everything from houses and flats to farms and estates for sale. Facebook fans 17,918. Twitter followers 66,593. Singapore About Blog Maximize Your Money! - Make smarter financial decisions with our powerful yet easy-to-use tools and great content. Tips, tricks and uncommon wisdom to help you get more out of your money from property. Facebook fans 164,606. Twitter followers 1,689. Singapore About Blog iProperty.com Singapore is Singapore's leading property website. Each and every month, we help tens of thousands of Singaporeans, expatriates and foreigners find their dream homes or investment properties. We provide the largest database of the most up-to-date listings to help you make informed decisions. Facebook fans 73,026. Twitter followers 3,321. Boston, MA About Blog Buildium's software helps property management companies become more efficient and profitable. Get property managements new, tips, and advice from the pros at Buildium property management software. Facebook fans n/a. Twitter followers 4,462. Australia About Blog Your Investment Property is the intelligent property owner’s choice when it comes to learning about Australia’s $4 trillion property market. Your Investment Property provides you with the most complete set of property data, independent commentary and thoroughly-researched articles about all aspects of investing in property in Australia and abroad. United Kingdom About Blog LandlordZONE® is a free access website for landlords & agents involved in letting property. Our primary aim is to assist new & experienced landlords with successful property investment & management. We do this by providing an encyclopaedic wealth of information for Landlords, Letting Agents & other property professionals. Follow for news, advice, legal comment and insight from this site. Facebook fans 2,668. Twitter followers 22,972. London About Blog Property crowdfunding with a trading exchange. We bring simplicity and transparency to residential property investment. You can invest in individual properties with as much or as little as you want. Facebook fans 49,709. Twitter followers 6,738. UK About Blog Find the , galleries and videos from ! Facebook fans 39,633. Twitter followers 28,283. About Blog Japan Property Central K.K. is the only fully licensed bilingual real estate agency in Tokyo that works exclusively with buyers. Because we are expat-owned and operated, we are in a unique position to provide highly specialised advice and expert assistance to foreign buyers. The majority of our clients are expats living in Tokyo as well as offshore buyers and investors. New York, NY About Blog is the leading integrated resource for executives and companies that own, invest in, develop, lease and/or manage commercial real estate. Facebook fans 2,304. Twitter followers 11,431. Edinburgh, Scotland About Blog McEwan Fraser Legal are a leading UK estate agents with properties for sale throughout Scotland. If you're looking to buy or sell we're here for you. All the lastest news about the property market delivered by the no. 1 estate agents in Scotland. Facebook fans 4,512. Twitter followers 2,275. Sydney About Blog Smart Property Investment is the premier source of news, intelligence and information for property investors and home buyers. With insights and investment strategies for buyers and investors across all Australian states, matched with unbiased commentary, features, extensive research tools, state by state reports and real life property investor profiles. Facebook fans 5,839. Twitter followers 4,289. Gold Coast, Australia About Blog Real Estate Investar helps people create wealth through property investment. We provide everything people need to make successful property investing decisions and grow their portfolios. Mission Striving to be the best in the world at helping people create wealth through property investment. Facebook fans 7,151. Twitter followers 1,073. UK About Blog NovaLoca commercial property listing is a UK business premises database of offices, industrial units and retail space available to rent or buy. Get news, advice and insight about Commercial Property in the UK. Facebook fans n/a. Twitter followers 3,092. California, USA About Blog At Properties Online, we are dedicated to helping real estate professionals grow their business by offering innovative and invaluable technology tools with a smile. Our products and services empower agents to efficiently expand their business while generating more traffic and leads. Facebook fans 13,630. Twitter followers 9,857. Glasgow About Blog GSPC advertises homes for sale and is the single largest property marketing network in west central Scotland. We offer unique and effective property advertising designed to find a buyer for your home. Facebook fans 364. Twitter followers 1,428. About Blog PenangPropertyTalk.com is a site aiming to provide quality, accurate and update-to-date information to anyone who are keen on property news and new launches in Penang. As the name of our domain name suggests, we are determine to provide you a space to discuss anything about Penang properties. Facebook fans 63,637. Twitter followers n/a. Scotland About Blog Rettie & Co are Scotland's leading independent firm of property specialists. We help clients all over the world sell and let quality property in Scotland and Northumberland, from city centre flats in Edinburgh and Glasgow, to premium family homes and rural estates. The Rettie & Co blog contains everything about property, property research and lifestyle. Facebook fans 1,709. Twitter followers 3,593. England, United Kingdom About Blog Progressive Property helps you make smarter property & real estate investments. Invest for freedom, choice & profit. Investment and development blog,UK property market news,tips and advice for property newcomers and investors entering the UK property buy-to-let market. Facebook fans 54,448. Twitter followers 10,853. London About Blog Property Moose is a crowdfunding platform where users become property investors from £10. With many of our properties in different regions of the UK, joining together as investors means we can raise money quicker, provide more options and give you greater choice in the type of property you may want to invest in. Facebook fans 2,364. Twitter followers 2,124. France About Blog HOME HUNTS is an award winning property finder with an expertise in luxury properties for sale. Find the best Luxury Property For Sale in France, Spain, London & New York. Let Overseas Property Specialist, Home Hunts, find your perfect property home. Follow us regularly for featured luxury villas and top tips from one the award winning luxury property search specialist. Facebook fans 15,412. Twitter followers 6,481. Chiang Mai About Blog Perfect Homes is a vibrant, progressive Real Estate agency based in Chiang Mai, offering quality properties for rent and for sale in and around the province. If you are looking to buy, sell, rent short term or long term Perfect Homes will do everything we can to help, making the whole process as smooth as possible. Facebook fans 11,570. Twitter followers 423. Singapore About Blog PropertyNet.SG is your trusted network to Singapore Real Estate. To empower you to make property decision confidently, we collaborate with bankers, lawyers and property agents to provide property guides, market news, updates on rules & regulation and promotions, to keep you ahead in the Singapore Property Market. Facebook fans 7,764. Twitter followers 128. Mallorca, Spain About Blog Balearic Properties is permanently searching all over the island for top quality villas and apartments for our large number of international clients. Our friendly, dedicated and highly motivated team is committed to finding the property of your dreams in Mallorca in a close and personal collaboration with you and will advise you individually about the best purchase strategy, tailor-made for you. Facebook fans 793. Twitter followers 555. Marbella, Spain About Blog Marbella's longest established real estate agents, Panorama, features a selection of property in Marbella on the Costa del Sol in Spain. Also offering luxury rentals available as well as Marbella property market information, Lifestyle & Events and Costa del Sol luxury estates. Facebook fans 3,254. Twitter followers 618. About Blog Property Insurance Coverage Law Blog is written by the attorneys of Merlin Law Group and provides insights on Insurance and Policy for property owners. Our pledge is to provide competent, creative and honest legal counsel, service, and advocacy to policyholders and claimants. Facebook fans 2,481. Twitter followers 1,026. Scotland, United Kingdom About Blog Scotland's leading independent, multiple award winning estate and letting agent with 28 years' experience. Welcome to Clyde Property blog, the best online destination for news, trends and advice on the Scottish property market. Facebook fans 7,748. Twitter followers 370. United Kingdom About Blog Property Auction Action provides comprehensive information on all of the UK’s leading auction houses and up-and-coming property auction dates. The site provides articles, case studies and the latest news on everything you need to know about buying a property at auction, sourcing finance, improving your new home or developing an investment property. Facebook fans 53. Twitter followers 571. Singapore About Blog Propwise.sg is a Singapore property blog dedicated to helping you understand the real estate market and make better buying, selling, renting and investing decisions - minus all the hype and misinformation. Get free Singapore property reports at top Singapore property blog. Make better buy, sell, rent & investing decisions in Singapore real estate. Facebook fans 2,203. Twitter followers 673. South East, England About Blog Miles & Barr an independent Kent estate agents dealing with property selling, buying, renting, mortgage advice, property management and relocation services. Read the latest property news from Miles & Barr leading estate and letting agents in Kent, and know the updated information about the property market. Facebook fans 21,442. Twitter followers 2,109. UK-wide About Blog A blog written for anyone interested in UK property investment. PS Investor Services source and package high quality residential buy to let / trading opportunities for professional property investors. Facebook fans 26. Twitter followers 1,123. Facebook fans 1,116. Twitter followers 26. In the French Alps About Blog Alpine Property was formed in 1999 to address the need for an estate agency serving international property buyers in the Alps. It was centered around the principle that the complex and often daunting process of buying property abroad is best served by professional, local advice in your own language. 219 Boundary Street West End About Blog Brisbane's premier property management and sales team - specialising in all property services and focus on our relationships and internal processes to ensure a valuable customer experience, whether you're an investor, vendor or tenant. Facebook fans 5,142. Twitter followers 450. UK About Blog Inside Property Investing is a podcast sharing successful property investors interviews to help inspire and motivate you on your own investing journey. Our goal is not only to motivate you with insights into how these successful investors got started, but also to give you real life guidance and tactics so that you too can achieve huge success from investing in property. Facebook fans 4,942. Twitter followers 1,089. UK, Europe About Blog Property And Development Magazine, the UK Architecture and Property Magazine, and UK Property News Site for Architecture, Property Management and FM News. Facebook fans 24. Twitter followers 1,919. Sydney, Australia About Blog Propertybuyer is an independent Buyers’ Agency that assists home buyers and investors find their ideal home or investment property. We provide expert assistance in the whole buying process from helping you pick the best suburbs, shortlisting properties through to negotiating the best price. Get powerful insights into the real estate market in Australia before making any purchasing decisions. Facebook fans 367. Twitter followers 2,096. About Blog Pumped On Property are a full-service buyers' agency, who've helped our clients buy, and build millions of dollars worth of property. We help our clients achieve their lifestyle goals faster and specialise in buying property with high rental yields, in growth markets, below market value. Facebook fans 3,230. Twitter followers n/a. London, England About Blog Do you have rental properties in South London? Do you want better returns? Stay tuned with the Clapham Property Blog for local market news and investment tips to maximise your investment returns! Facebook fans 307. Twitter followers 118. UK About Blog Professional Properties is a local letting and estate agent covering Derby, Burton-on-Trent and all surrounding areas. We are 100% focussed on letting, managing and selling residential property. Our management team has a wealth of experience and unrivalled local knowledge; the key to providing the excellent service expected by our customers. Our strength is our staff. We are a people business and we ensure that all of our staff are highly motivated, well trained and customer focused. Facebook fans 4,744. Twitter followers 2,101. NY | PA | ND | CA About Blog Keane has been providing services to address the complexities of unclaimed property for more than 65 years. Keane provides a comprehensive array of business services to help companies achieve compliance with state unclaimed property laws and regulations, while identifying and mitigating the risks associated with non-compliance. Melbourne, Victoria About Blog Advantage Property Consulting are Melbourne's experienced Buyer's Agents and provide a 360 degree service to help our clients achieve their property goals. Our Buyer's Agent services were established in 2000 by Managing Director, Frank Valentic and are built around empowering you to achieve your property goals. Hua Hin, Thailand About Blog Hua Hin property and real estate news, helpful guides and tips for visitors looking to buy property here in Hua Hin or the surrounding areas. Facebook fans 508. Twitter followers 459. Yeovil, England About Blog Scrumpy provides easy to use booking websites to holiday property owners. An easy to use, powerful booking management system coupled with a clean, stylish website, we help property owners easily manage their holiday properties. Facebook fans 87. Twitter followers 271. Newport, South Wales About Blog Make Luscombe and Co. your first choice for dedicated, personal and professional property services. We are independent and have been tenants and landlords ourselves, which means that you can benefit from our first-hand experience in lettings. Facebook fans 1,135. Twitter followers 7,589. Walsall, England About Blog Ashmore Lettings provides a Professional and Personal Service to the Private Landlord in Walsall and surrounding areas. On this blog I will talk about what is happening in the town property market itself, even looking at specific streets or housing estates. Facebook fans 1,507. Twitter followers 275. Northbrook, Illinois About Blog AuctionWorks is your global solution for buying and selling property online. We auction all types of commercial and residential real estate and personal property. AuctionWorks specializes in conducting auctions of commercial and residential real estate and represents both individual and institutional sellers. Facebook fans 190. Twitter followers 1,377. Global About Blog Property Blogs is the home of New Zealand property bloggers. The latest property topics are discussed daily. Facebook fans 1,815. Twitter followers 13,098. London About Blog London Property Magazines, showing London's premier properties from three quality, glossy property magazines covering; North West & Central; Central & South and Islington City & Docklands areas of London. Facebook fans 976. Twitter followers 3,688. Forster About Blog Margaret Price Real Estate, is a well established real estate agency located on the mid north coast of NSW, specialists in selling and renting property. Facebook fans 564. Twitter followers 710. Lancaster and Morecambe About Blog This blog is all about what is happening in the local property market. It’s primaliry aimed at landlords. Together we will look closely at the change in prices and where the best places for you to invest are. Facebook fans 1,575. Twitter followers 8,007. London, England About Blog London Property Investment Network is for property investors, landlords, estate agents and letting agents. Join the London Property Investment Network. This Blog brings the latest updates on housing, regulations, sale, renting, estate agents, letting agents, property investors and landlords. Facebook fans 70. Twitter followers 795. About Blog Propsquare.my is a site aiming to provide quality, accurate and up-to-date information and news of Malaysia property market. Watford About Blog We are experts on the local property market and provide our landlords with regular updates including useful information on property investing in general as well as the local property market. Letting Agents in Watford. Passionate about the local buy-to-let market. Helping landlords to get a better return from their property investments. Facebook fans 569. Twitter followers 468. Byron Bay, New South Wales About Blog Byron Bay Property Sales is an independent, non- franchise agency. The company has been organically growing since 2008, built on a steadfast dedication to integrity of service and friendly professionalism. News and updates from the Byron Bay Property Sales website. Facebook fans 776. Twitter followers 2. Sheffield, England About Blog Welcome to the Sheffield Property Blog, the place where Sheffield landlords and Sheffield homeowners can find useful information, advice, insights, resources and inspiration for owning, renting out, buying and selling property in the Sheffield area. This blog follows the property market in Sheffield. Facebook fans 23. Twitter followers 1,901. Facebook fans n/a. Twitter followers 836. New Zealand About Blog iFindProperty are an Investment Property Agency. Save time, save money and reduce risk when you buy an investment property in New Zealand. Articles from leading property investment industry experts on how to invest, due diligence, strategy, mortgages, renovations and much more. Facebook fans 1,930. Twitter followers 258. Chelmsford, East About Blog This blog follows the buy-to-let market in Chelmsford. You'll find tips, guidance, and analysis that relates specifically to Chelmsford and you'll also find properties from all the estate agents in the town on here that may make decent investments. I operate Martin and Co in Chelmsford and if you're thinking of buying a property to let in Chelmsford, I'm happy to offer a second opinion. Facebook fans 14. Twitter followers 1,716. Northampton, England About Blog This blog follows the property market in Northampton. You'll find tips, guidance, and analysis that relates specifically to the property market in Northampton. You will also find properties from all the estate agents in the town on here that may make decent investments. Cardiff About Blog We are a property trading and development business working with home owners looking to sell without the hassle of Estate Agents and long waits for buyers with uncertain mortgage offers. The Property Blog Property News, Tips & Insights, and More From the Heart Of South Wales Property Market News And Insights. Facebook fans 3,791. Twitter followers 2,721. Facebook fans 677. Twitter followers 309. About Blog Welcome to the Wharfe Valley Property Blog, the place where Ilkley & Otley landlords and Ilkley and Otley homeowners can find useful information, advice, insights, resources and inspiration for owning, renting out, buying and selling property in the Wharfe Valley area. Facebook fans 62. Twitter followers 1,216. Liverpool About Blog Welcome to Liverpool Property Blog, the place where Liverpool landlords and Liverpool homeowners can find useful information, advice, insights, resources and inspiration for owning, renting out, buying and selling property in the Liverpool area. Facebook fans 654. Twitter followers 506. Bedford About Blog We are the Bedford Branch of Belvoir, one of the UK's largest property franchises with over 15 years of experience and 148 offices nationwide. ach owned and managed locally We will provide you with a comprehensive 'One stop shop' including professional lettings service and Estate Agency We aim to embrace our core principles of quality service and customer care. Facebook fans 591. Twitter followers 1,350. South Manchester About Blog This blog follows the property and buy to let market in Reddish. You'll find insight, commentary and analysis that relates specifically to North and South Reddish, along with the latest investment deals from all agents in the area. Facebook fans 709. Twitter followers 1,726. Doncaster, England, UK. About Blog Doncaster's award winning Sales and Letting agent, proud members of The Guild of Professional Estate Agents & Relocation Agent Network. This blog follows the property market in Doncaster and the surrounding areas. From potential buy to let property deals to analysis and comment on the local property market. If you’re serious about investing in buy to let property in Doncaster. Facebook fans 2,521. Twitter followers 3,472. Bexley, London About Blog Drewery Sidcup Estate Agents established in 1946, offer a comprehensive range of professional property services, specialising in residential Sales, Lettings and Property Management. This blog follows the property market in Sidcup, Bexley and surrounding areas. From buying or selling, Letting or Investing you will find a wealth of information that will help you in your decision making process. Facebook fans 518. Twitter followers 1,812. Nancy, France About Blog Houses for sale in Dublin, Kildare and Meath. The No.1 Auctioneers in Ireland. Facebook fans 2,096. Twitter followers 206. Lincolnshire UK About Blog A professional property letting and management company based in Boston Uk. Offering a high quality service to landlords and tenants of residential and commercial properties. Facebook fans 659. Twitter followers 885. South Ockendon Essex About Blog This blog follows the buy-to-let market in Thurrock and South Ockendon plus the immediate area. You'll find tips, guidance, and analysis that relates specifically to Grays, Chafford Hundred, East Tilbury, Purfleet, Avebury, South Ockendon and you'll also find properties from all the estate agents in the town on here that may make decent investments. Facebook fans 273. Twitter followers 689. Melton Mowbray About Blog Set up in 1998 Belvoir Lettings Melton Mowbray is a franchise ran by Charlotte Baker, Paul and Liz Cox. You'll find my tips, guidance and analysis that relate specifically to the property market in Melton Mowbray and you will also find properties from all the estate agents in the town on here that may make decent buy to let investments. Facebook fans 352. Twitter followers 364. About Blog Thoughts from the creators of Kitt, the powerful property management platform. Facebook fans 199. Twitter followers 11. Dunstable, UK About Blog Welcome to the Dunstable and Houghton Regis Property Blog and the author Daniel Bourke who is the owner of Belvoir Lettings in Dunstable and offers advice and guidance to all property investors, especially new Buy to Let investors who require some help to purchase the right property in the right area. Facebook fans 117. Twitter followers 390. About Blog This blog follows the buy-to-let and general property market in and around the Runcorn area in Cheshire. You'll find tips, guidance, and analysis that relates specifically to Runcorn. Facebook fans 551. Twitter followers n/a. Nuneaton, England About Blog On this blog, we will talk about what is happening in the town’s property market itself, looking at specific streets or housing estates. Some times we will post what we consider decent buy to let deals on the market as well as current rental opportunities with ourselves & other Nuneaton agents. We like to look at the whole of market and give you, what we consider the best investment opportunities. Facebook fans 321. Twitter followers 76. Rotherham, England About Blog The Rotherham Property Blog is written by Chris Holmes. On this blog I will share what is happening in Rotherham’s Property market, even looking at specific areas and housing estates. At other times I will post what I consider are decent buy to let deals. Some will be on the market with me whilst others may be marketed by other agents in Rotherham. Facebook fans 12. Twitter followers 243. About Blog This blog follows the Buy To Let market in Colchester and the surrounding district. You’ll find tips, guidance and analysis that relates specifically to properties in and around Colchester. You’ll also find properties from the estate agents in the town that may make good investments. I am the co-owner of Home Lettings in Colchester. About Blog This blog follows the property and buy to let market in The Heatons. You'll find insight, commentary and analysis that relates specifically to the Four Heatons of Heaton Moor, Heaton Norris, Heaton Chapel and Heaton Mersey, along with the latest investment deals from all agents in the area. About Blog This blog follows the Property Market in Oxford. Its ideal for people interested in Oxford property prices and values, Oxford homeowners and buy to let landlords whom invest in the City. For Buy to Let landlords, you'll find tips, guidance that relates specifically to buy to let in Oxford and you'll also find properties from all the estate agents in the City that may make decent investments. Warrington About Blog This blog follows the buy-to-let market in Warrington. You'll find tips, guidance, and analysis that relates specifically to Warrington. Facebook fans 2,480. Twitter followers 568. About Blog This blog follows the property and buy to let market in Marple, The Bridge, Mellor and Compstall. You’ll find insight, commentary and analysis that relates specifically to SK6, along with the latest investment deals from all agents in the area. Nigeria About Blog Nigeria's leading property classified, and a one-stop website for your property search, no matter if you are renting, buying or selling. Follow for free expert advice & property news. Whatever your needs we can help! Facebook fans 356,364. Twitter followers 5,328. About - Homes & Property is the leading newspaper property supplement in the country, with more than 800,000 FREE copies distributed with the London Evening Standard every Wednesday. About - LandlordZONE the UK's leading landlord website, providing property news, advice, legal information, comment and insight for the rental property industry since 1999. About - A blog for landlords in the UK private residential sector; BTL mortgage, PRS legislation, property prices and property management news. About - Letting Agent Today is the go-to news site for the UK's letting agents and property managers. 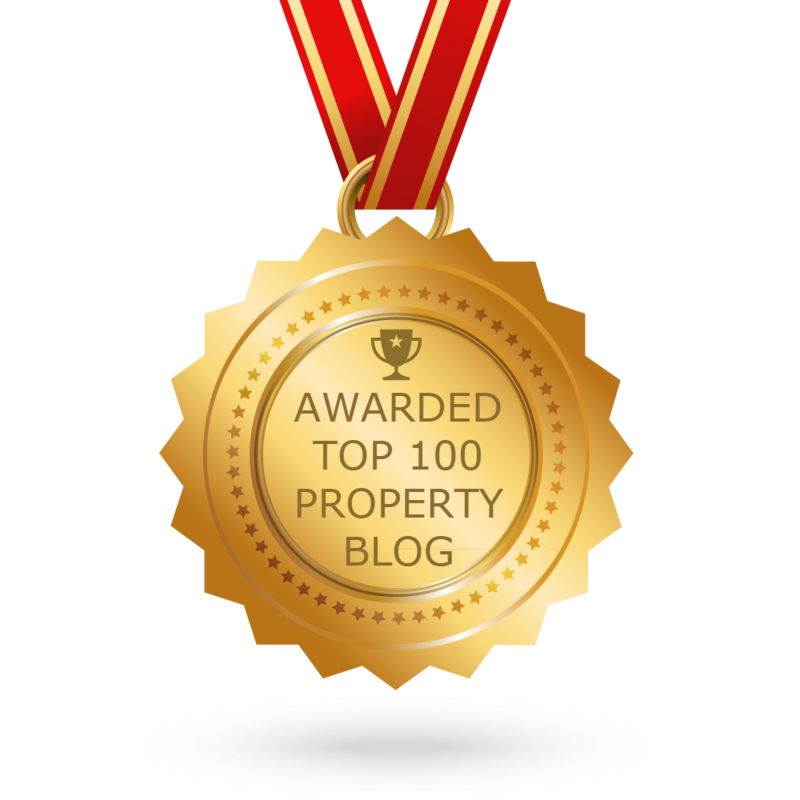 CONGRATULATIONS to every blogger that has made this Top Property Blogs list! This is the most comprehensive list of best Property blogs on the internet and I’m honoured to have you as part of this! I personally give you a high-five and want to thank you for your contribution to this world.